Next week we’ll be talking about Pelikan’s amazing collection honouring the greatest constructions of the Ancient world! Ever since Herodotus wrote his list of the Seven wonders of the World, these Monuments have been admired by people all over the world. All seven wonders are in the influence area of Ancient Greek civilization, and are icons of the Classic Ages. Only the Pyramids of Giza are still standing, but the other wonders were said to be truly spectacular (although it’s not sure if the Hanging Gardens ever existed). All of them were destroyed by earthquakes, except for the Temple of Artemis which was burnt down by Herostratus. Up to date, Pelikan has only made five different models: Lighthouse of Alexandria, Hanging Gardens of Babylon, Temple of Artemis, Pyramids of Giza and Colossus of Rhodes. All of them are incredible fountain pens with unique designs inspired by these five wonders. Finished in Sterling Silver or 18K Gold, these pens are great collector’s items. 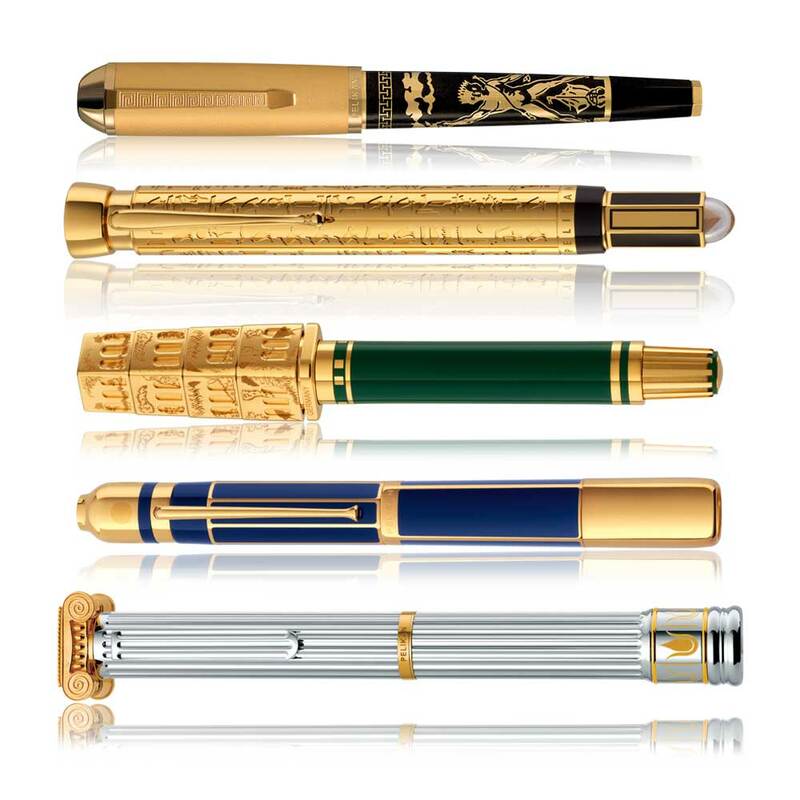 We hope Pelikan releases the next two models in the coming years, thus completing this wonderful collection! Both the Mausoleum of Halicarnassus and the Statue of Zeus at Olympia promise to be great pens! One pen a day, we’ll be going over the details of the pen and the monument, so get ready to take a trip to the past and enjoy these wonderful pens!! Pelikan’s Pyramids of Giza Fountain PenA bit of history: ST Dupont’s first years! !